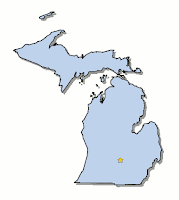 The Blog of Dr. T. Michael W. Halcomb: Any Michigan Bloggers Out There? We just moved to Michigan this week and I was wondering if there were any bloggers / readers out there? If so, leave me a comment and let me know. Blessings. well, i'm from michigan and i'm still a resident there. but, we're in NC as you know. Dude--i did this 'import notes' on my facebook? so whenever i post a blog, it notifies my fb page, although not in the way I'd like. anyway, it puts the posts on there twice. how do i fix that?